EcoVadis Gold rating puts ManpowerGroup U.S. in top 5 percent of companies worldwide for Corporate Social Responsibility | ManpowerGroup Inc.
MILWAUKEE, Nov. 29, 2017 /PRNewswire/ -- ManpowerGroup U.S. (NYSE: MAN) has been awarded the EcoVadis Gold Recognition Level - the highest Corporate Social Responsibility (CSR) rating available - for ethical and responsible employment and business practices, sustainable procurement and environmental management. The average score across companies assessed by EcoVadis is 42.4 - ManpowerGroup U.S. scored well above the average at 64. There are now 12 ManpowerGroup countries worldwide to achieve EcoVadis Gold and Silver ratings. "Doing well by doing good begins with ensuring we are best in class for our own business practices. This award demonstrates we do just that," said Becky Frankiewicz, president of ManpowerGroup North America. "We believe sustainability starts at home. And it's our people who make this happen. I am proud of the work our teams do every day to deliver on our purpose - that meaningful and sustainable employment has the power to change the world. This is how we will continue to create value for our clients and candidates." In order to certify CSR performance, EcoVadis, the world leader in the evaluation of supplier sustainability, takes an evidence-based approach usings 21 indicators aligned to international standards including the United Nations Global Compact Principles, International Labour Organization (ILO) conventions, Global Reporting Initiative standards, the ISO 26000 standard, the CERES Roadmap, and the UN Guiding Principles on Business and Human Rights. 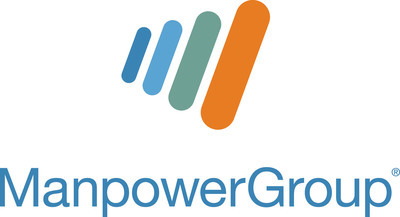 To find out more about ManpowerGroup's Sustainability Plan, visit doingwellbydoinggood.manpowergroup.com.